D'Alessandro, Stephanie. German Expressionist Prints: The Specks Collection. New York: Hudson Hills Press, 2004, p. 64, cat. 6, color illus. p. 64. Hauswedell and Nolte, June 10, 1988 [auction catalogue]. Hamburg: Hauswedell and Nolte, 1988, lot 47. 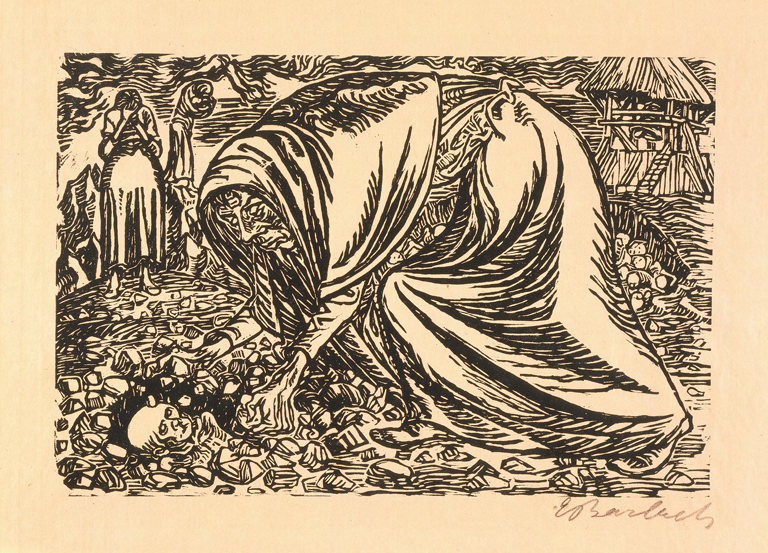 Defiance Despair Desire: German Expressionist Prints from the Marcia and Granvil Specks Collection, Milwaukee Art Museum, January 17-March 15, 2004. Stark Impressions: Graphic Production in Germany, 1918-1933, Mary and Leigh Block Gallery, Northwestern University, January 13-March 20, 1994; the Hood Museum of Art, Dartmouth College, April 8-June 26, 1994; Archer M. Huntington Art Gallery, University of Texas, September 9-October 30, 1994.